If you would like to better understand the role of preventative maintenance, ask Stuart about the benefits of proper vehicle care, maintenance and repair. 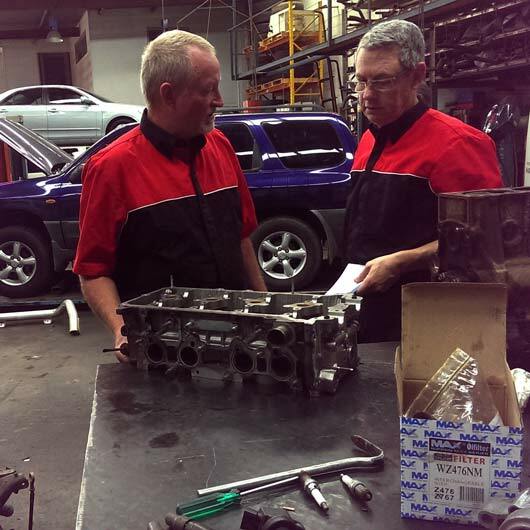 The team at Bowen Hill Exhaust and Car Care are very experienced and well-trained, and we all want you to understand because when you do, you will take better care of your vehicle. Preventative maintenance is good for all cars. We find when we need to do big ticket item repairs, it is often because car owners forgot or put off maintenance until it’s too late. We help make sure you are not one of them. Take advantage of our $119 first time vehicle service offer. Having your car checked regularly means less breakdowns and lower running costs over time. Our staff are available to answer any questions on 07 3252 5260 or you can book your vehicle service online. Regardless of whether you drive a standard Ford or a fully modified vehicle, we know very well what type of exhaust system your car needs. Does your car leave puddles of coolant wherever you park? Avoid the risks of having your car overheat, especially in the Brisbane summer heat. A car’s suspension system is one of its most important features. Unfortunately it’s also the one that is most often overlooked.